Lead dancer and Maître of the Laura Alonso Ballet Company. 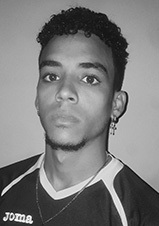 During his career as a dancer he was invited to perform on several presentations and galas in the UK, Brasil, Mexico, Costa Rica and the Dominican Republic. Among the ballets he danced on a lead role are Swan Lake, Coppelia, The Nutcracker, Don Quixote among others. Working as a ballet master at Laura Alonso’s company he has done the artistic direction on several occasions and restaged Paquita and Don Quijote. He has also been invited to teach classes in Mexico and Puerto Rico and is currently collaborating with the Ballet Lizt Alfonso Dance Cuba. Alayn García Méndez is a young graduate from the National School of Ballet on 2010. He started the ballet studies on 1992 and being at school he won two medals on ballet contests. Right after school he joined the Ballet the Camaguey Company and very soon he was performing soloist parts on ballets like Don Quixote, Swan Lake, Le Corsaire among other. With the company he toured France and Haiti. Young graduate from the National School of Ballet of Cuba who was a bronze medallist participating as a student on the International Ballet Contest of Havana, 2014. Alex has performed soloist roles on various ballets: Swan Lake (the Buffoon), The Nutcracker (Mouse King), (Russian Dance), La Fille Mal Gardée, among others, on different tours and presentations of the Ballet Nacional de Cuba. Ecuadorian martial artist and self-taught dancer who started competing on hip-hop national contests at 11 years old achieving the first place for several years. At the age of 15 he began formal salsa studies and took part on various international dance events, the “Ecuador Salsa Congress”; the “World Salda Festival” in Cali, Colombia, the “World Latin Dance Cup” in Las Vegas, USA; the “Puerto Rico Salsa Congress” and the “World Salsa Championship” Miami, Florida, obtaning diferent awards and commendations as best dancer and choreographer. 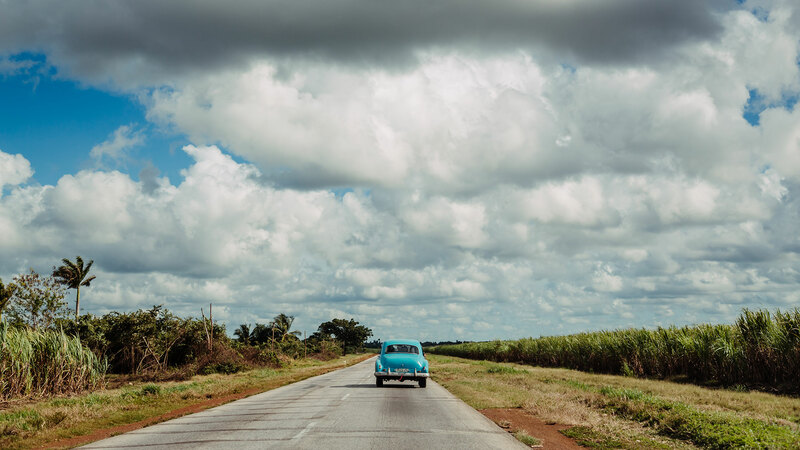 When he arrived to Havana, first studied at the National School of Dance and then the Higher Institute of Arts. 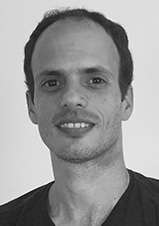 He has worked with Ritmo Habana, Danza Contemporanea, Mal Paso and Danza Abierta and also teaches workshops and summer courses on several Cuban dance companies and at Fabrica de Arte Cubano. As a young talented classical ballet dancer who recently graduated from ENA, Ariel started attending international contests and school exchanges at an early age. It was his participation in these competitions that led him to dance at the International Contemporary Dance Festival in France and as a guest of the Ballet School of Mexico. He reached third place in an international ballet contest held in Havana with the pas de deux Llamas de Paris and Talismán and he participated in the ballet festival of Calabria and Ballet Joven in Lima. He was trained by famous dancers such as Carlos Acosta, Svetlana Ballester, Alberto Terrero, Lieng Chang, Octavio Martín, Julio Arrozarena, and Victor Ukate. He completed his undergraduate studies at the Ballet Laura Alonso Company where he danced Dracula and The Nutcracker. Barbara Lisandra Patterson Sánchez studied at the Escuela Vocacional de Arte in Holguí and the Escuela Nacional de Ballet, with which she participated in the Mazatlan Carnivals in Mexico. After her graduation, she joined the Ballet Nacional de Cuba Company for nearly two years, dancing all its repertoire and performing Nutcracker on a Canada tour. She also performed at the 21st Havana Ballet Festival. Glenda is a 2007 National School of Ballet graduate. Right after gradutation she joined the Ballet Nacional de Cuba Company. With a rich Contemporary and Classic repertoire, Giselle (Friend, Willis), Swan Lake (pas de six, Two Swans, Princesses), Coppelia, Cinderella, Paquita, Celeste, Sinergia, Shakespare y sus máscaras, Bodas de Sangre, among other she has performed on several countries like Spain, Italy, France, The United Kingdom, USA, China, etc. On 2015 she became a soloist. Professional contemporary dancer graduated as a dancer teacher from the National School of Arts on 2007. 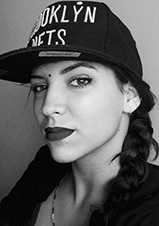 With more than 9 years of experience she is a enior dancer at Danza Contemporanea de Cuba company where she has worked with choreographers like: Mats Ek, Rafael Bonachela, Jan Linkens, Theo Clinkard, Itsik Galily, Billy Cowie, Carlos Acosta, among other. She has also participated in numerous festivals in different countries, Migros Festival and Tanzfestival Steps in Switzerland; Festspiele Ludwigshafen in Germany; Sí Cuba! Festivals, USA and the Brisbane Festival, Australia. 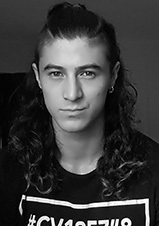 Julio Enrique Blanes Miranda studied at the National School of Arts where he participated in several contests and got a Bronze Medal and Best Dancing Couple Award for the pas de deux Llamas de Paris. 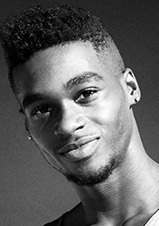 Graduated on 2010 and joined the Ballet Nacional de Cuba where he dance several soloist roles as the Clown on Swan Lake, Le Corsaire pas de deux and Diana and Acteon pas de deux. Graduate of the National School of Dance on 2013 as a contemporary and folklore dancer. He has been working with Rakatan Company on shows and festivals in Cuba and abroad such as Dance Encore Festival, Quebec, Canada; Spoleto Festival, USA. Other countries toured with Rakatan are Russia, Switzerland, Norway, England, Germany, Italy and The Netherlands. 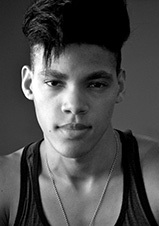 Leandro Miguel Tamayo graduated from the Arts School on 2008 as a contemporary and modern dancer. That same year he joined Codanza, one of the best dance companies of the country. Witih Codanza he took part in domestic festivals and events like Bailar en casa del trompo, Romerías de Mayo, Fiesta de la Cultura Iberoamericana y Holguinera, Festival Internacional del Cine Pobre. On 2010 he became a soloist and on 2013 joined the TV Ballet Company. Leandro has been part of the shows Lady Salsa and This is Brasil touring Belgium, Switzerland, Sweden among other european countries, he also toured France, Germany and Austria, as part of the corps de dance of Semino Rossi’s concerts. 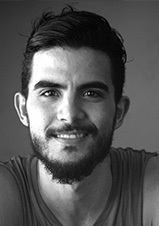 After graduating from the National School of Arts on 2013, Marco worked with several dance companies, Danza Combinatoria, Havana Queens, Rakatán, and Proyecto Salsa, Mambo y Chachachá. 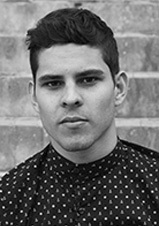 He has taken classes with renowend choreographers like Kristian Estovind and Tonny Testa on contemporary and hip hop workshops held in Cuba. His interest on diverse dance styles takes him to be part of several dance shows performing classic, contemporary, folk and fusion. Accomplished ballerina graduated from the National School of Ballet of Cuba who has performed several ballets: Dracula (Mina), Swan Lake (Odette-Odile), Paquita (Paquita), Don Quixote (Kitri) and contemporary works like Zero, Moments and Big Spender among many others. She is a member of the National Dance Council of Cuba, and Principal Dancer of Laura Alonso’s Ballet. 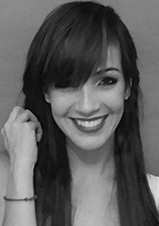 On 2011 she was a guest First Dancer at the Ballet Dance Company of Mazatlan, Mexico; she has also worked as head dancer and choreographer for Cirque Fantastique, Canada and Celestyal Cruises, Greece. Her performance has earned her excellent press reviews on several tours, festivals and events. Born on July 14, 1984 in the city of Havana, Nadiezhda Valdes Carbonell wanted to become an athlete and started with rhythmic gymnastics at the age of five. In 1996 however, she changed her mind and decided to begin a career as a dancer. In 2002, she graduated from the ENA as a dancer and modern, contemporary and folk dance teacher. Later, she joined the Danzer Contemporánea de Cuba as a prima ballerina for six consecutive years and participated in workshops with Spanish Rafael Bonachela, Ana Laguna, Mats Ek, and Anastasia Lyra, among others, as well as galas, festivals, national and international tours. She has performed in major theaters such as the Peacock and Sadler‘s Wells in London, Sydney Opera House, and the Theater Carré in Amsterdam. She joined the company Rakatán and is now part of Ballet Revolución. Since his graduation on 2014, Pavel has been working with the Laura Alonzo Ballet Company and is a soloist who has performed different roles on classic and neoclassic ballets like Dracula, Swan Lake, Don Quixote, Suite de Carmen, Rosas Rojas. He has been on international tours to Mexico at the Tamaulipas Cultural Festival and the Mayan Culture festival, China and el Salvador. 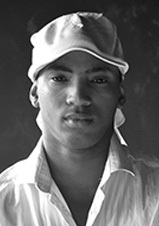 Raul is a young contemporary and folk dance graduate from the Santiago de Cuba School or Arts. 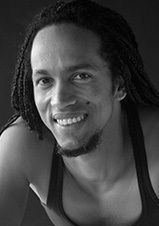 During his short professional career he has worked as a professor of dance techniques and repertoire at the school of Granma province and as a dancer with Bienadanza and Danza Contemporánea de Cuba companies. Yasser Pajares Rojas graduated from the Escuela Nacional de Ballet in 2000 and then joined the Ballet Nacional de Cuba, performing as a soloist in Don Quixote, Swan Lake and Carmen, which toured the US, Mexico, Panama, Venezuela, Colombia, Spain, Italy, and China. He also performed at the international ballet festival in Havana in 2000, 2002, and 2004, before joining the Cuban Television Ballet as a soloist in 2006. Since then he has toured extensively with many productions. 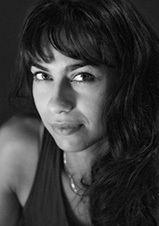 Yeleny graduated from the Escuela Nacional de Arte in 2003 as a modern, contemporary and Cuban folklore dancer. She has toured Europe as a part of a cultural exchange with the Company of Santiago Alfonso and Habana Con Paz amongst others. 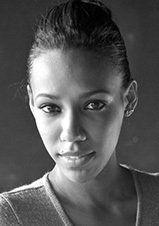 She has worked for nine years under the direction of Christy Dominguez in the Cuban TV ballet company. Recently she joined the cast of the hit show Kings of Salsa and toured Denmark, Thailand, Turkey and the United States in 2011. 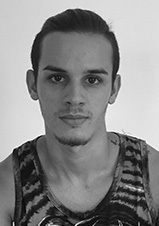 Graduated from the art school in Cienfuegos province as a contemporary and folklore dancer he has worked with conTEMPOdans a Cuban-Spanish company, Identidad a project that creates musicals, he choreographed the dance-theater piece Marca de Agua that has been invited to several international theater festivals. 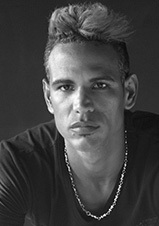 He also worked with Havana Queens for a short period of time and then joined Ballet Revolución. In 2001, Yuniet graduated from Escuela Nacional de Arte and passed with distinction in contemporary, folkloric and modern dance. 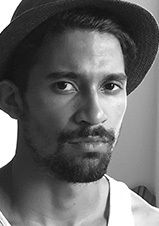 His fi rst love of contemporary dance took him to one of Cuba’s best companies, the Codanza and Danza del Alma, where he became the lead contemporary dancer in 2003 and choreographed many pieces to great acclaim. 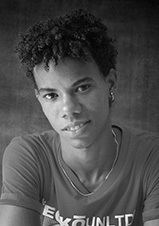 As a member of Danza del Alma, he received two awards as best male performer in the international »Solamente Solos« contest in Holguín, Cuba. With his great love of music and Cuban rhythms, he played as percussionist in the Arter Ego band. He then worked with Corpus Espiritu Alma Company, led by Tangin Fong, and then joined Sonlar, working as a lead dancer and percussionist, touring France, Spain, and Portugal. In 2004, he joined Havana Night Show for a year. 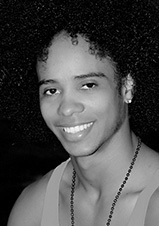 Since 2008, he has also been a member of the Cuban TV ballet company where he was also promoted to soloist dancer in 2010. Since 2010, he has been part of The Kings of Salsa cast, touring Norway, Finland, the Baltic states, Estonia, Latvia, Russia, Portugal, Denmark, and Thailand. Jennifer is a 20 year-old dancer who graduated from the National School of Arts on 2014 and is studying her second year at the Higher Institute of Arts. As a student she attended the International Dance Contest Danza Attitude in Mexico winning the third place on the contemporary dance category. 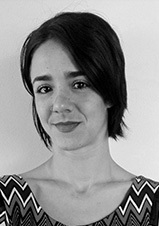 After graduating she joined the TV Ballet company for two years and after Compañía Habana for one year.She has worked with renowned Cuban choreographers and dancers: Osnel Delgado, Yosmell Calderon, Roclan Chávez, Liannet Rodriguez, Dixán.